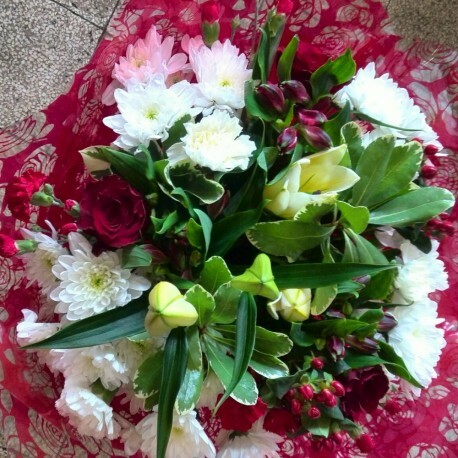 This stunning white bouquet with accents of red is sure to be a winner this Valentine's Day. 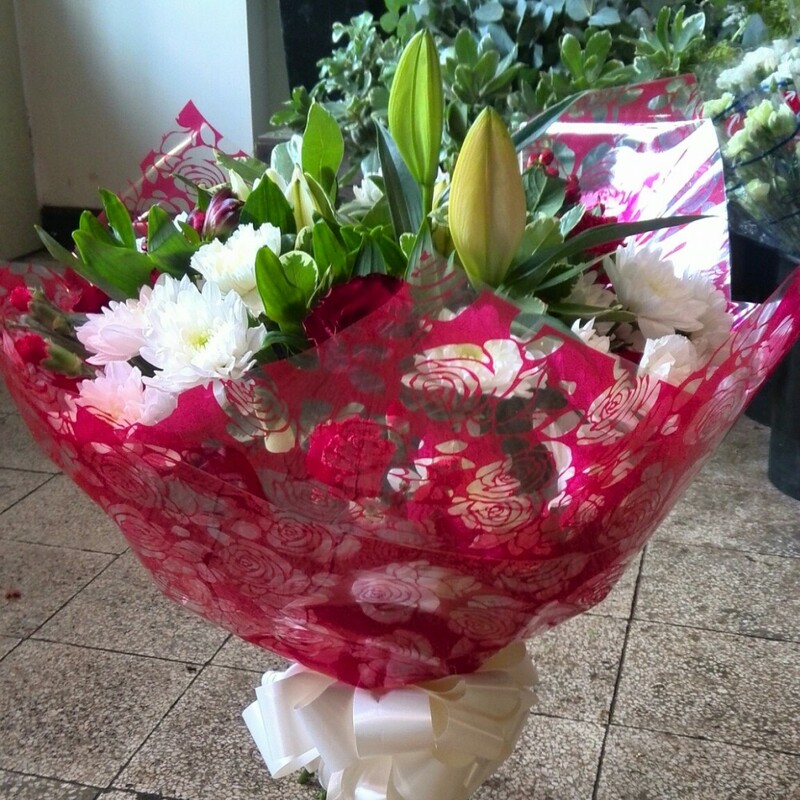 This bouquet is a hand tied design and NOT delivered in water (unless requested when ordering) but is ready arranged for the recipient to place straight into a vase and presented in complimenting wrapping with a bow. Available for same day delivery in Middlesbrough. The bouquet pictured would be one of our Standard designs.